This week we kicked off our latest Charge tour at Malvern Theatres. 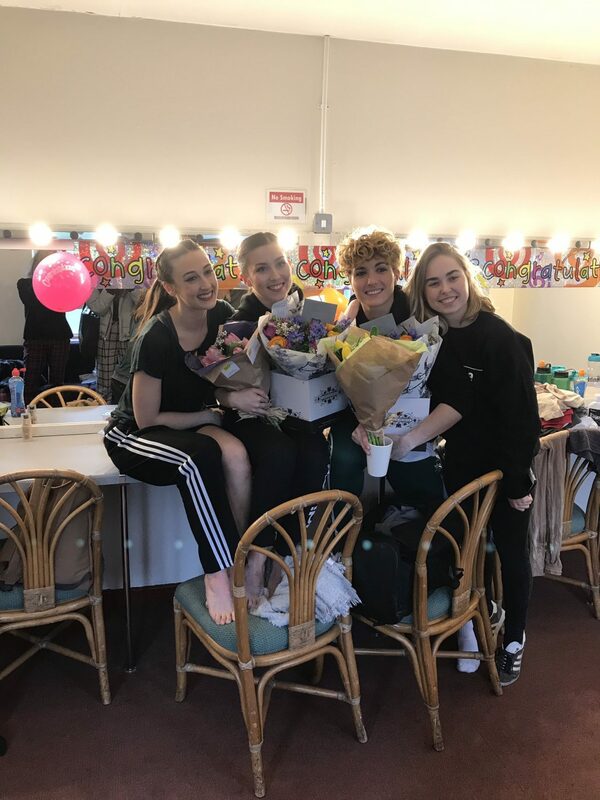 This marked the premiere performance for our new performers Shannon and Charlotte who smashed it and danced us proud. We had a fantastic evening and are so excited to be back touring Charge to both new and old audiences. Easily the most engrossing and entertaining performance we have seen in 30 years of coming to this theatre. Excellent. Stupendous! Total conceptual piece! Life affirming! Exhilarating! My 8 year olds need to see this! Gobsmacked! Phenomenal! Strength & artistry. Unbelievably clever. Astonishing! The skill, strength and stamina of the dancers and how they maintain their orientation with the constantly moving light and images is actually beyond belief. Fabulous in every way. Just the most incredible, stunning, mesmerising uplifting performance ever. Six such talented dancers of suphuman strength, utmost courage, fluidity. , Timing, memory…..descending from heights, merging into and from such clever projections. If you have the chance to see it wherever… GO even if you are not into dance. We love hearing your feedback and it is really helpful for us in monitoring our work and ensuring that we make the best shows possible for you to see. If you’ve seen Charge and would like to give us your feedback, please fill in our quick and easy survey here.